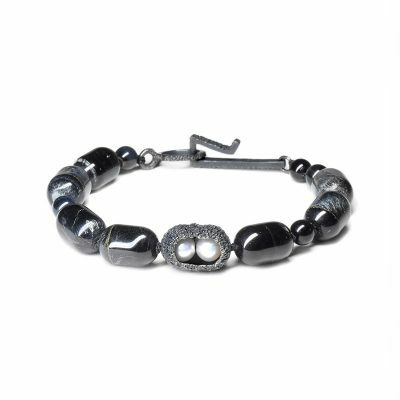 Third Eye Bracelet / black beaded bracelet with pearls / by Welfe. 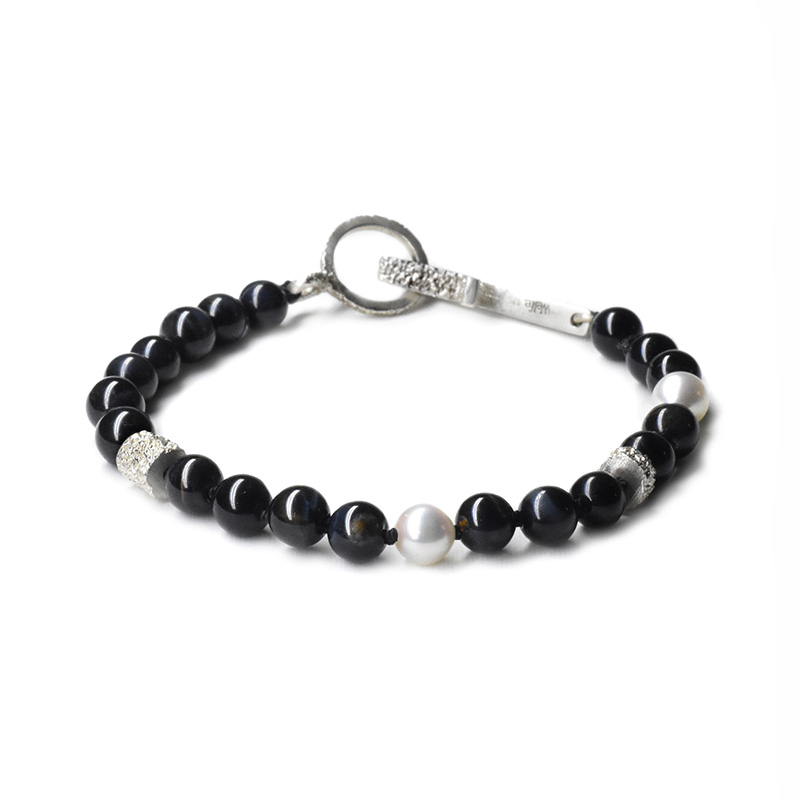 The Third Eye Bracelet is made up of small round Hawkeye beads and contains custom polished silver details as well as two Akoya pearls. 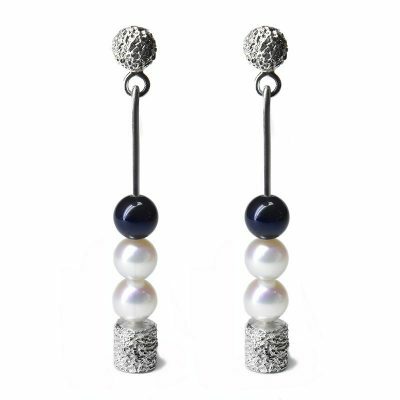 The Third Eye Bracelet is made up of small 6mm round Hawkeye beads and contains custom polished silver details as well as two Akoya pearls.